Home Entertainment Net Worth of Superheroes? Black Panther - $90 Trillion! Net Worth of Superheroes? Black Panther - $90 Trillion! 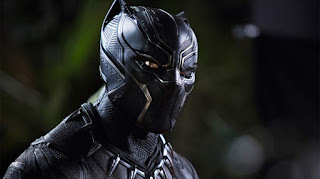 If you want to discuss the Net Worth of Superheroes movie, I want you to take a chill pill, since I believe Black Panther is totally of that comparison list. Ranking all the best movies produced so far with worldwide attention, the difference is almighty. At this point, I can proudly yell... Africans! Awoo! Why is Guiness Book not saying anything though?